For most small business owners and entrepreneurs, the whole business operation is usually a one-man show. Because your operation is starting out minimally and you’re trying to save on costs, you’ll probably be doing everything. The production or service part of the business is great—you’ve taken care to make a fantastic product or service that your ideal customer will love. However, don’t forget about that other important part: keeping your financials in order. Because it’s a one-man/one-woman show, you’ll have to do everything, from customer service, to marketing manager, secretary, sales director, and even accountant. But for most people starting out, that can be overwhelming. In fact, according to one Canadian survey, only 18% of small business owners had a good grasp of finances. That’s why today, we’ll look at the top small business accounting hacks to not only keep your small business afloat, but to make it thrive. For the ease of your business and to keep amazingly accurate records, you’ll need to open up a separate, business-only bank account. This you’ll use primarily for keeping your business income. As we’ve said before, it’s crucial to keep your business and personal finances separate. Although it’s not required for sole proprietors, it is a legal obligation for LLCs, corporations and partnerships to have a separate bank account. In general, it’s a great idea for small business accounting. Open up a checking account and savings account, and then try and get a business credit card to build up your business credit score. Essentially, this is where small businesses fail. Firstly, they don’t have a separate bank account, and so they buy business things with personal money. When tax time comes, they sweat to try to remember where the receipts and invoices are, and what exactly the expense was for. Don’t do that. In fact, plan for that by keeping amazing records. This comes down to tracking your business expenses which is easier to do with a separate checking account and accompanying bank cards. Keep track of your receipts in terms of meals & entertainment, business travel, transportation/vehicles, gifts, and any applicable home office receipts. You can also do these things digitally by making scans and using photo editing software or Microsoft Paint to take notes on the image. That way, you can store them in the cloud for easy access. Invoices are more than just documented suggestions for your customers to pay you. They’re records of the transaction terms, so you should pay extra special attention to them. There are many ways to keep them. Some download templates, print them out, and present physical copies to their customers. But this can present lots of fuss and the real possibility of losing your documents. 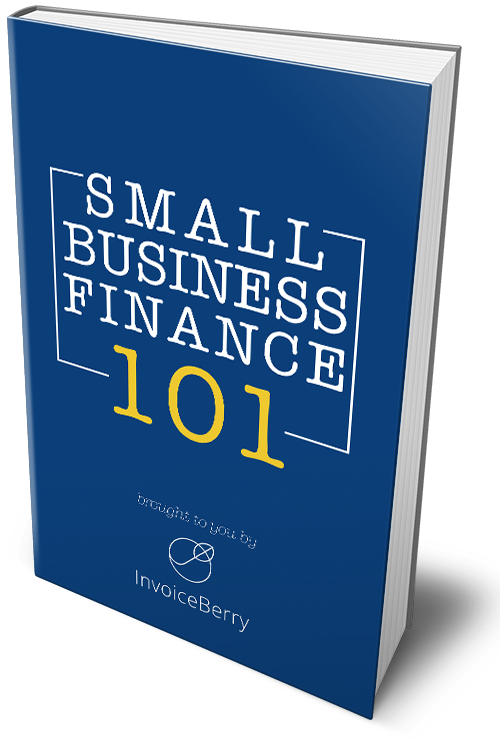 Others prefer to use online invoicing software, such as InvoiceBerry’s. Invoicing software stores all your documents on the cloud, meaning you can access it anywhere and anytime. There’s also expense tracking, so you can help keep your records in strict order. Whatever you use, organize your invoices and help boost your small business accounting. Taxes are the bane of any small business owner’s existence since they can be quite confusing. However, confusion is not a good excuse when the IRS taxman comes knocking. You should determine, based on your location and type of business, what your tax obligations are. When you sell a product, you’ll probably need to add a sales tax or VAT depending on where your customer is located. If you’re importing/exporting, there’ll be some additional taxes and duties accompanying that. In general, you need to collect your taxes as soon as a sale is made, and to stay on top of your taxes, you need to be vigilant. You should never be late in filing your tax returns. This is where small business accounting can sometimes go off the rails. Your tax liabilities which include filing tax returns and paying associated bills cannot be overlooked. But in order to create them, you should have all your other tax documents in order. In addition to that, instead of just paying one lump sum for you taxes during tax season, prepare an estimate of your taxes for the upcoming tax year and pay them in installments. You can either pay that in your business savings account, or use other methods. Profit and Loss Statements, usually known as P&Ls, are terrific for determining the state of your business. P&Ls provide a great way to get a snapshot of your company’s financial situation for any period. You can set it for weekly, monthly, quarterly or yearly reports. You should set them for logical periods of your business, however, and keep them consistent. For more information on P&Ls and other important vocabulary, click here. You should know your margins and trying to improve them. This is good small business accounting advice, but also good business advice in general. That means you’ll need to calculate your net profit margin which shows how much money is left after all your business expenses are subtracted. You’ll now get a number that you should convert into a percentage. For example, if my revenue is $50000, and all my expenses come to $41000, then my Net Profit Margin is 0.18 or 18%. Not a great margin, but not the worst depending on the industry. Knowing this, I may be able to find ways to reduce my expenses and improve my margins. In actuality, the best small business accounting hack is exactly what you’re doing now: learning. Constantly keeping yourself updated on your business, all aspects of your business, is a great indicator that you care enough to have your business succeed. You can’t know everything, but in trying to understand as much as you can to improve your business, you’re already setting yourself for success.